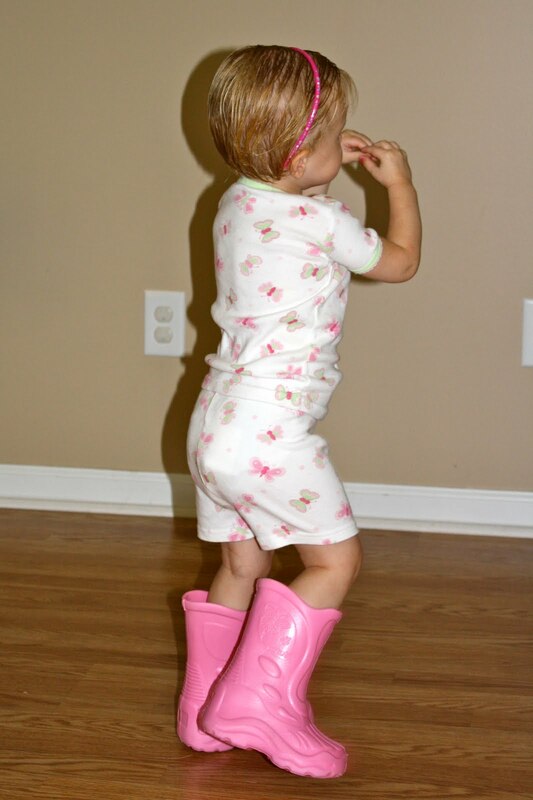 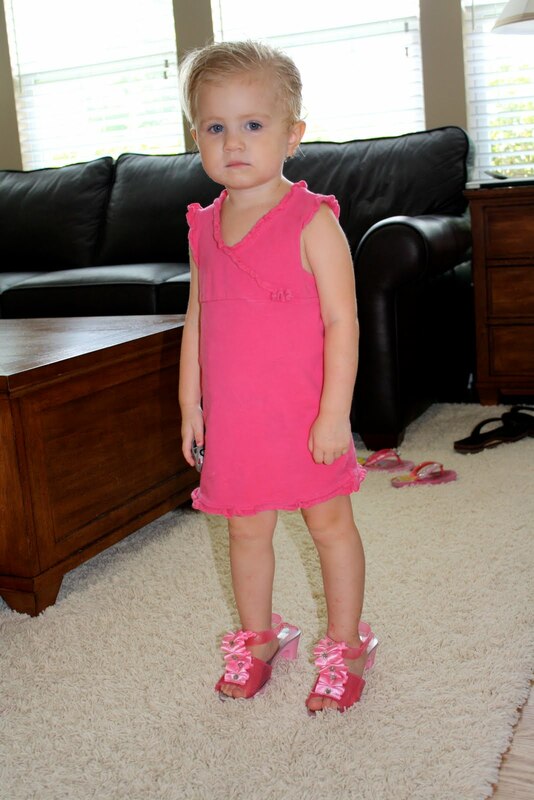 While Sam runs (seriously, he never walks) around the house putting anything and everything on his heads, his twin, Emma Kate has a shoe obsession. 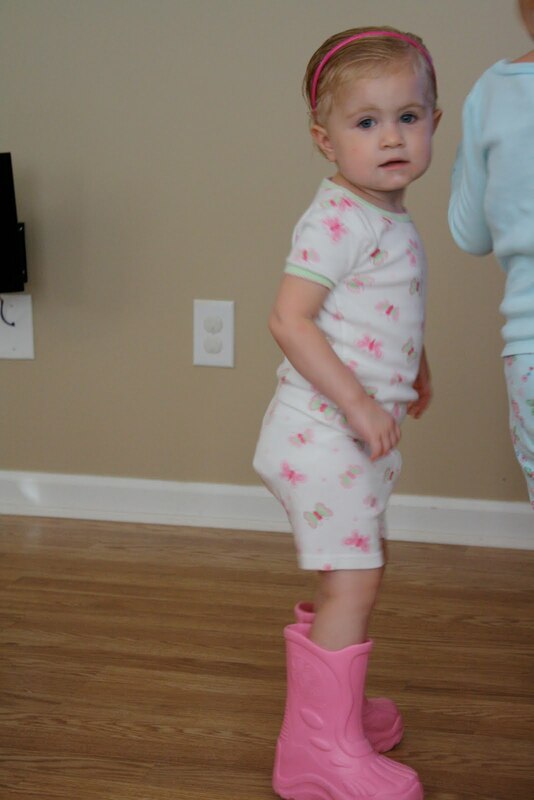 The very first thing she asks me for when I get her out of bed in the morning is for her "shoe pops". Shoe pops are flip flops or dress-up shoes. She wears some form of someone's shoes at all times and changes frequently throughout the day. She can run and climb in all types of shoes and only takes them off to bathe and sleep.